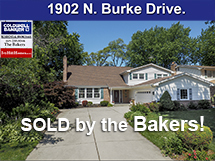 Call the Bakers if you'd like your home added to our list! Street by street, house by house, year by year. 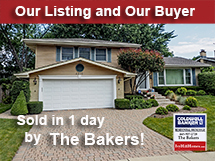 Your neighbors have trusted the Bakers! $57 Million in Ivy Hill Sales. You can't beat knowledge, experience and service! When we walk into a home for a market analysis, we won't be asking what model you have, the lot size, who built it or when. 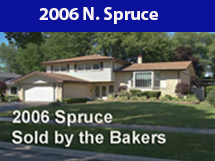 We get our clients top dollar in the ever- changing real estate market. It's our marketing, client base, and negotiating savvy that bring you more money. Whether you're selling today or in a few years, we take the time to give you the total picture needed to obtain top price for your home. 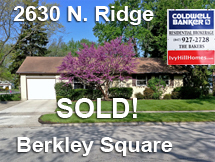 sold for full price in 3 days! 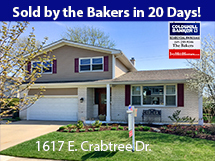 home in 1 day to their own buyer. sell her home for full price. Bruce & Roberta Evensen Natalie Gustavson was thrilled. 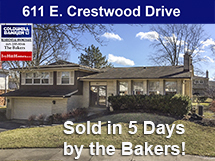 Sold in 9 days! 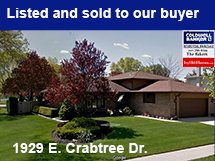 Sold to our own buyer before it hit the market. 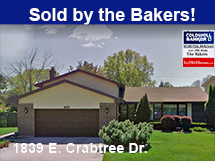 814 Crabtree Mrs. Rees Tom Maio called the Bakers. 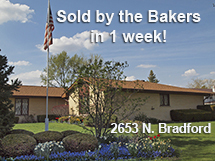 Albert Drewes property John and Frank Bianchi called the Bakers. 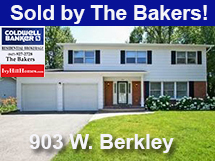 Harvey & Anne Stein After 580 days for sale w/another realtor the Bakers stepped in and sold it in 5 days! 1930 N. Eastwood was up for over a year her home. her home in less than a month. Gene & Pat Floss Sold for full price by the Bakers! 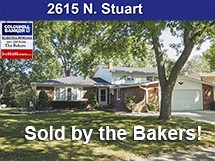 Joe & Mikie Lamanta's home Kurt Radtke tried by-owner Stuart & Carol Breitberg SOLD in 4 Hours! 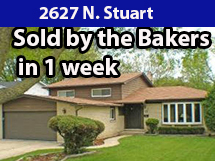 sold by the Bakers in 3 weeks! 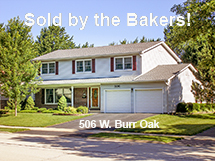 then called the Bakers to get his home sold. 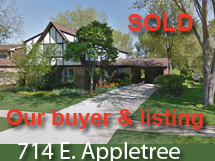 Bob & Carol Lestina Angel & George Hyland Elaine Looft Sold in 10 days! Pat & Dave Kirkpatrick Brian Masterton called the Bakers. home in less than a week! Your Ivy Hill experts - No one knows it better. 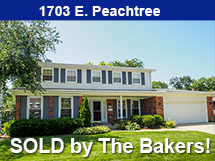 No one sells more homes in Ivy Hill, period. Street by street, house by house, year by year. 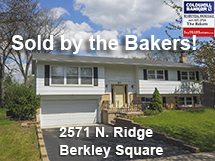 Your neighbors have trusted the Bakers! Call us for an update on Ivy Hill homes for sale. 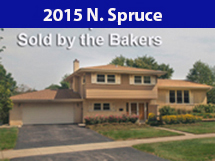 The highest sale price in each category were homes sold by the Bakers! 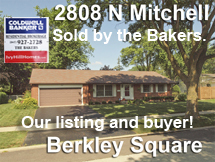 25% of 2008 Ivy Hill homes sold were by the Bakers! 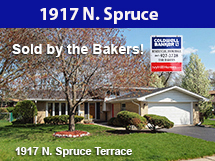 Call us at 847-255-9346. We're easy to talk to. Sale prices estimated a few months ago aren't the same as today. While the real estate market doesn't show the volatility of the stock market, it DOES change. And it is changing. Our years as realtors have made us acutely aware of the indicators of change, and we pride ourselves on keeping loyal clients abreast of what we see "coming down the pike." Newspapers, on the other hand, are several months behind on their reporting of changes, especially locally. 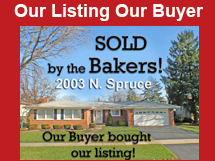 So whether you're thinking of buying or selling, check with us for the current status of the market and prices. Looking near and far? We cover just about every suburb as well as some parts of the city. No matter where you're thinking of buying, we can help. 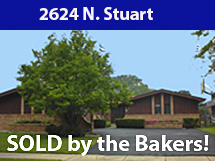 We've had clients from as far away as Berwyn, Chicago, Naperville, Crystal Lake and Lake Forest. 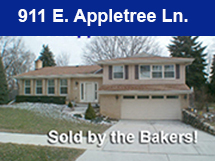 *All homes sold in cooperation with the MLSNI. 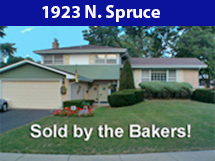 Listings and sales counted in the total of 130 homes sold, also homes sold twice and 3 times are counted.